Making the decision to check yourself into a professional drug and alcohol rehab facility like Holistic Recovery Centers is a hurdle that many addicts are unable to overcome. One of the things that prevents addicts from getting the help they desperately need is a fear of the unknown. They have no idea what will happen to them once they are in the care of the staff of a rehab facility. Not knowing what to expect creates an irrational fear that stops people from getting treatment before their problem is out of control. This is why it is important to educate yourself regarding what actually goes on during substance abuse treatment at a rehab facility. Here are some of the main things you can expect when you check in and officially become a patient. 1. Rehab begins with the detox process. 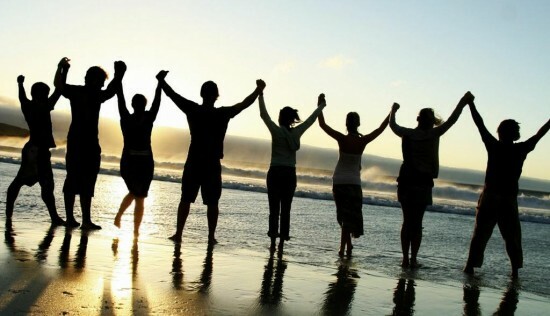 All drug and alcohol rehab facilities start their treatment programs in the same manner. They require all patients to submit to a search. All of the patient’s belongings must be thoroughly searched in order to ensure that no drugs or alcohol have been smuggled into the facility. The detox process will begin as soon as the patient checks in. This is usually a 72-hour period that is very difficult for patients to endure. This is because this is the first time that the patients have been separated from the drugs or alcohol they have become addicted to. Therefore, the withdrawal symptoms that some patients suffer during detox can be quite severe in some cases. The pain can be excruciating and medical intervention is often necessary. However, it is essential that all drug and alcohol toxins are completely removed from the patient’s body before treatment can officially begin. 2. Patients will then meet with a doctor for a complete medical evaluation. A doctor will be monitoring you very closely during the detox process. It is necessary for each patient to go through a comprehensive medical evaluation following detox to ensure that there is nothing seriously wrong with them physically. Patients who are given a clean bill of health will be permitted to continue with the rehab process. Patients who are experiencing medical problems related to their detox will be treated by the doctor or sent to a hospital where more comprehensive tests can be run. 3. A meeting with a counselor will be scheduled. There will be several counselors working at the rehab facility. You will be assigned to one of them. This person will become a vital part of your overall recovery. Many counselors are former addicts who successfully kicked their habit and now want to help others do the same thing. A counselor can help you to put your addiction behind you and start a new day in your life. You will meet with your assigned counselor on a regular basis during your entire stay at the rehab facility. He or she will also be the person you talk to if you have any questions or concerns during your treatment. 4. You will begin to attend group therapy sessions. It is important that you begin to bond and form friendships with the other patients who are in the facility with you. This bonding will start to take place during group therapy sessions. All of the patients will meet and discuss their addiction histories and what led them to seek help. Hearing the experiences of other addicts like yourself will make you realize that you are not alone in your struggle to stop using drugs or alcohol. Having the same problem will allow you to make friends with your fellow patients. This will create a valuable support system that you will need once your time at the rehab facility has ended. Many patients find it difficult to talk to their friends and family about their addiction. Talking to strangers about the problems you have faced is often an effective therapy during the rehab process. 5. Your loved ones will be allowed to visit. There will be a designated day during your time in rehab when your friends and family will be able to come to the facility to visit you. This is often a very special day for patients because they have been separated from their families for a couple of weeks. Patients will be permitted to call their family at designated times using a phone monitored by the rehab facility. Find out how often you will be able to make phone calls before you check in.